A gorgeous literary debut about unlikely heroes, lifelong promises, and last great adventures. Otto finds the note left by his wife in the kitchen of their farmhouse in windswept Saskatchewan. Eighty-three-year-old Etta will be walking 3,200 kilometers to see the ocean, but somehow, Otto understands. He took his own journey once before, to fight in a faraway land. With Etta gone, Otto struggles with his demons of war, while their friend Russell initially pursues the woman he has loved from afar. And James—well, James you have to meet on the page. 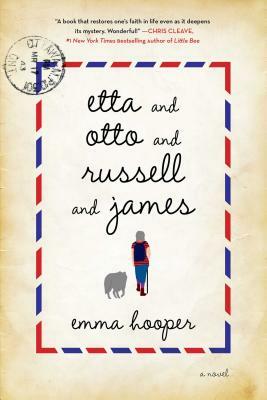 Moving from the hot and dry present of a quiet Canadian farm to a dusty, burnt past of hunger, war, and passion, from trying to remember to trying to forget, Etta and Otto and Russell and James is an astounding literary debut about friendship and love, hope and honor, and the romance of last—great—adventures.